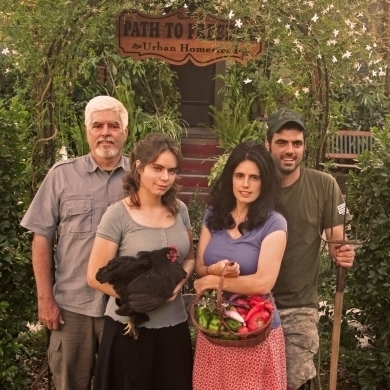 In the Food Leaders Series webinar on October 1, 2012, True Food Solutions Founder Jason Matyas welcomed urban homesteaders the Dervaes family to discuss their journey in developing their Urban Homestead. They grow enough vegetables, fruits, and herbs to supply 99% of their family’s produce needs, and still sell over $20,000 in produce to their local community each year, all on only 1/10th of an acre! They also raise small animals for eggs and dairy, do beekeeping, and process their own biodiesel fuel.